It is 25 years since student protests were brutally crushed on Beijing’s Tiananmen Square. In retrospect, the events in turned out to be a defining moment in the history of the two nations, the juncture at which Russia and China’s parallel trajectories diverged. 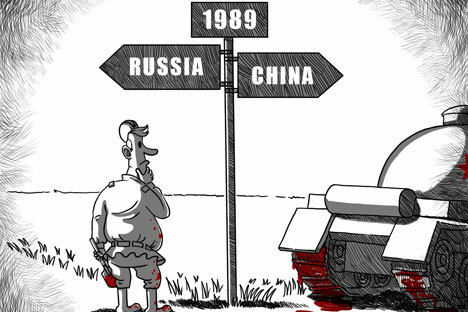 Vladimir Petrovsky reflects on the countries’ paths in the two and a half decades since 1989 through the prism of Tiananmen Square.